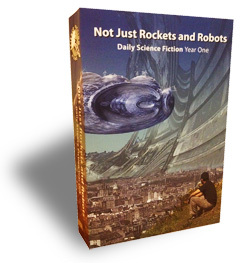 It’s the Daily Science Fiction Year One Anthology! It’s 871 pages of fiction — that’s 260 stories, including three of mine, and it’s available here. Daily Science Fiction is a great pro market for emerging and established authors alike, and they deserve our support. And you deserve to read copious amounts of awesome fiction. So pick up your copy today! Your biceps will thank you.